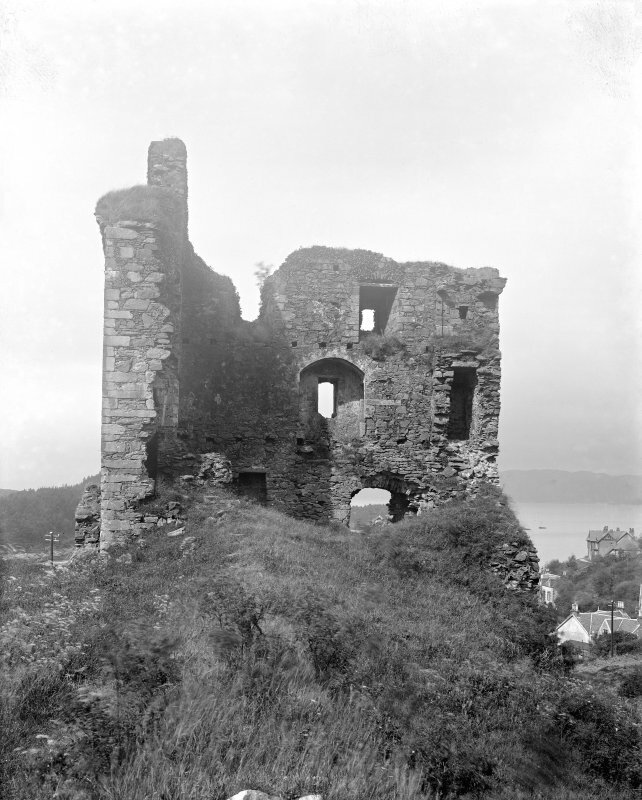 Tarbert, Tarbert Castle. 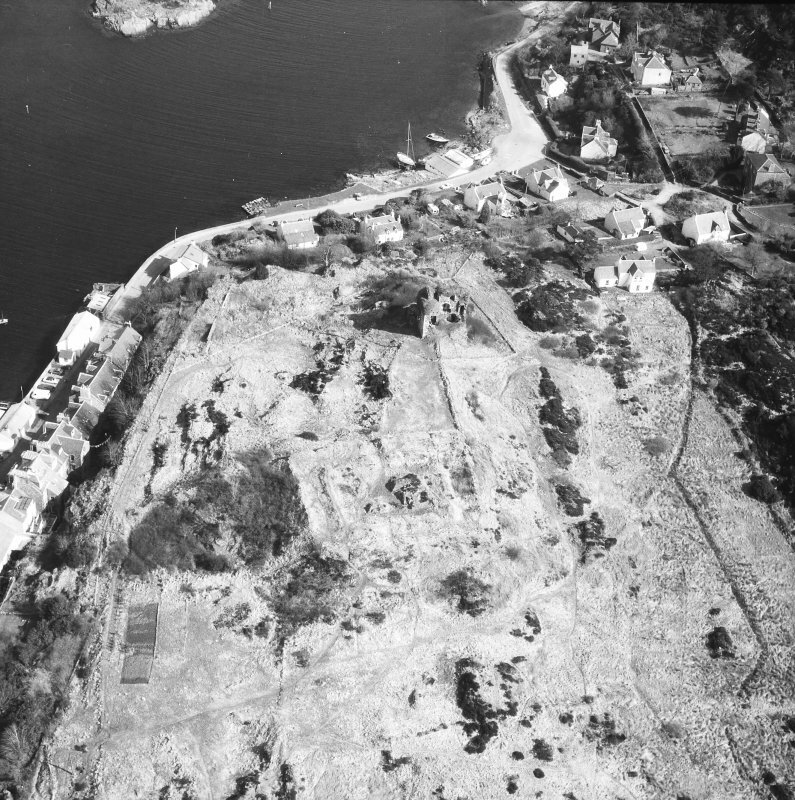 Oblique aerial view from North. 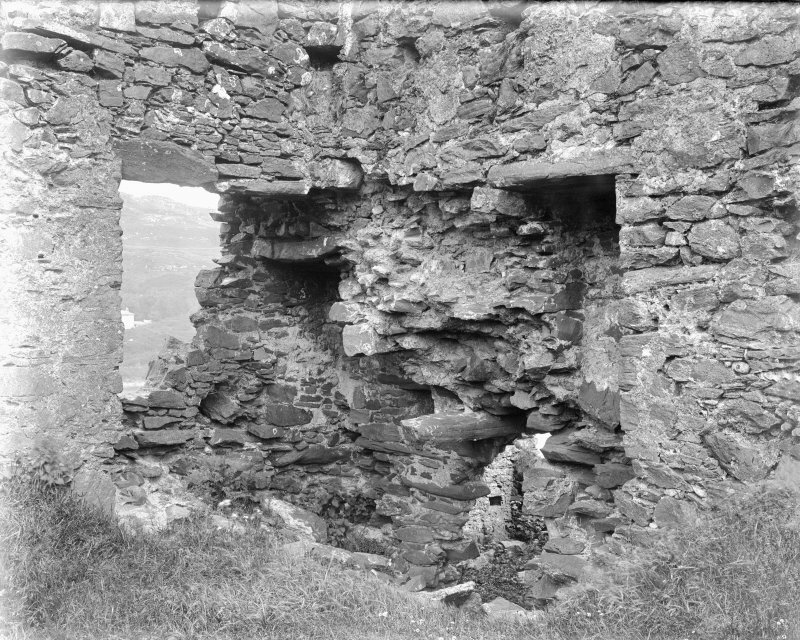 Tarbert, Tarbert Castle, interior. View of North angle. 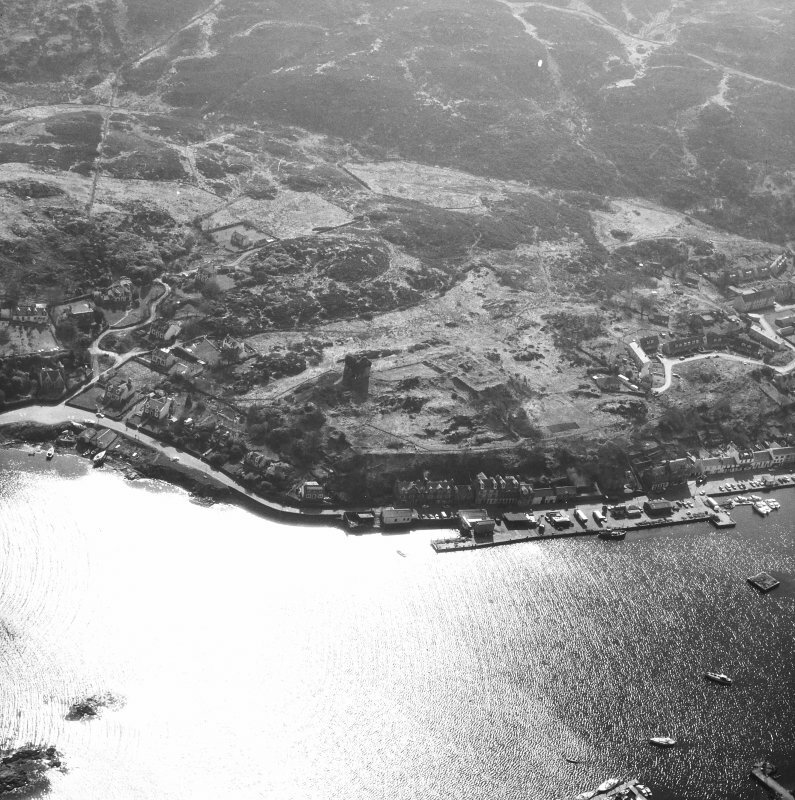 Tarbert, Tarbert Castle. Oblique aerial view from South-West. 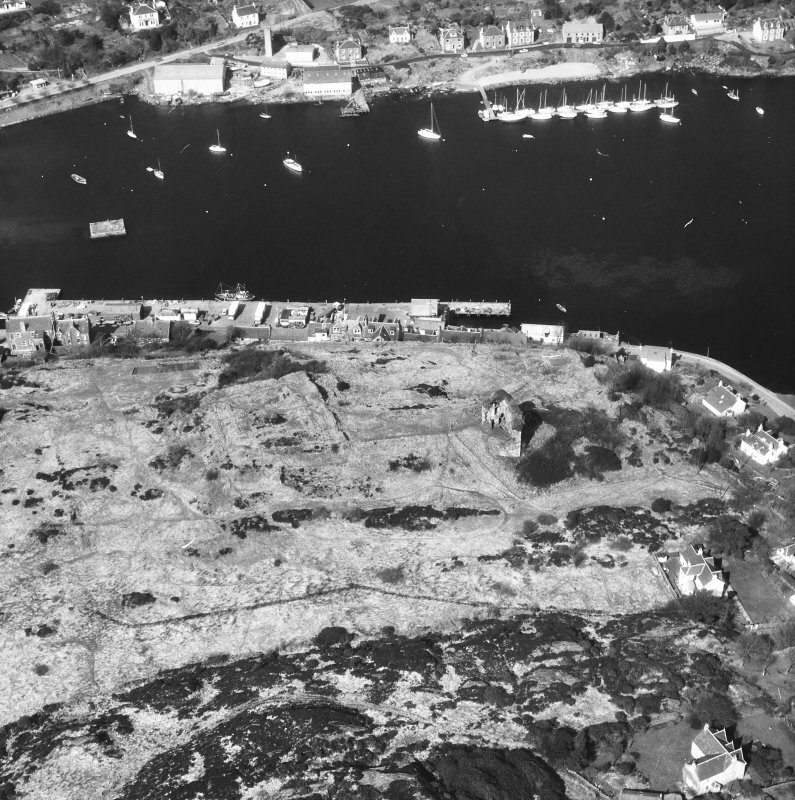 Tarbert, Tarbert Castle. Detail from South-East. 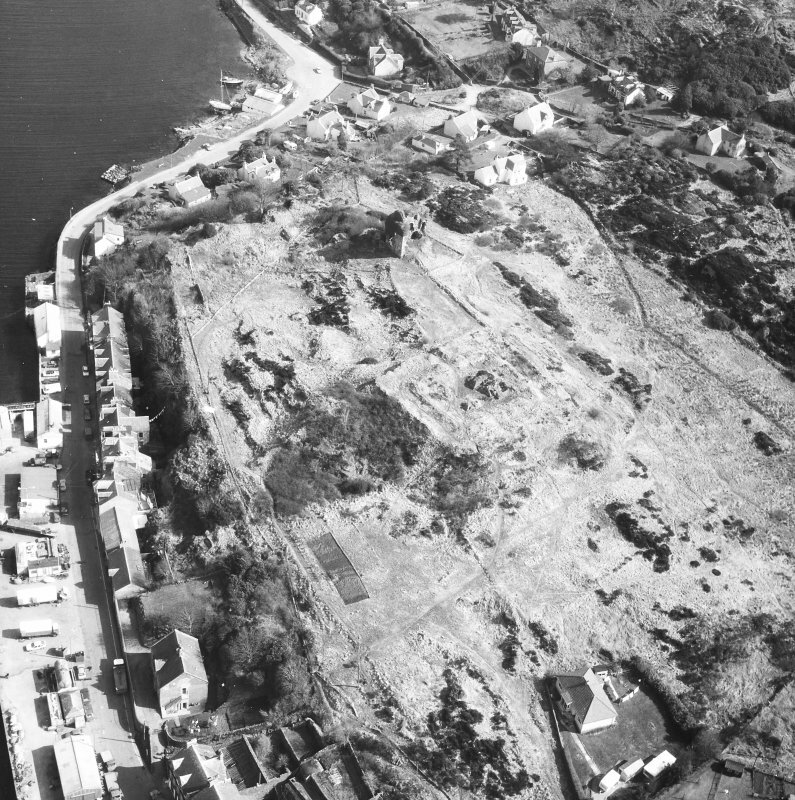 Tarbert, Tarbert Castle. View looking towards East Loch Tarbert. 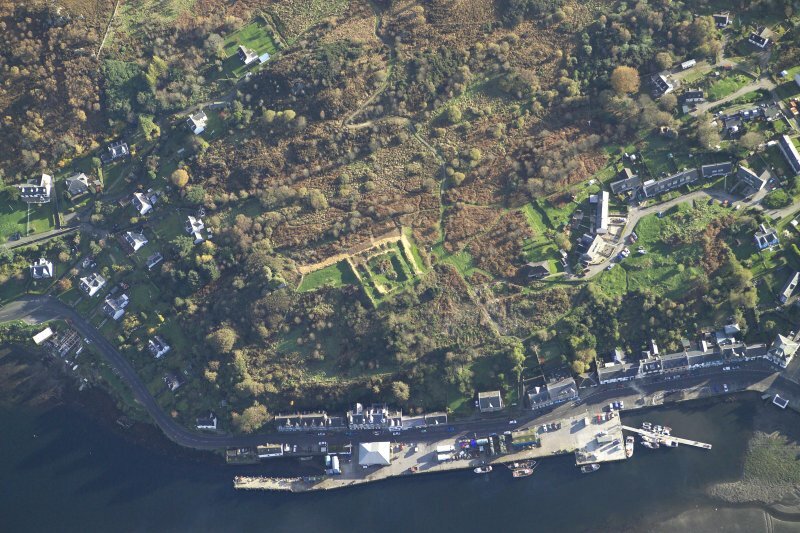 Tarbert, Tarbert Castle. View from West. 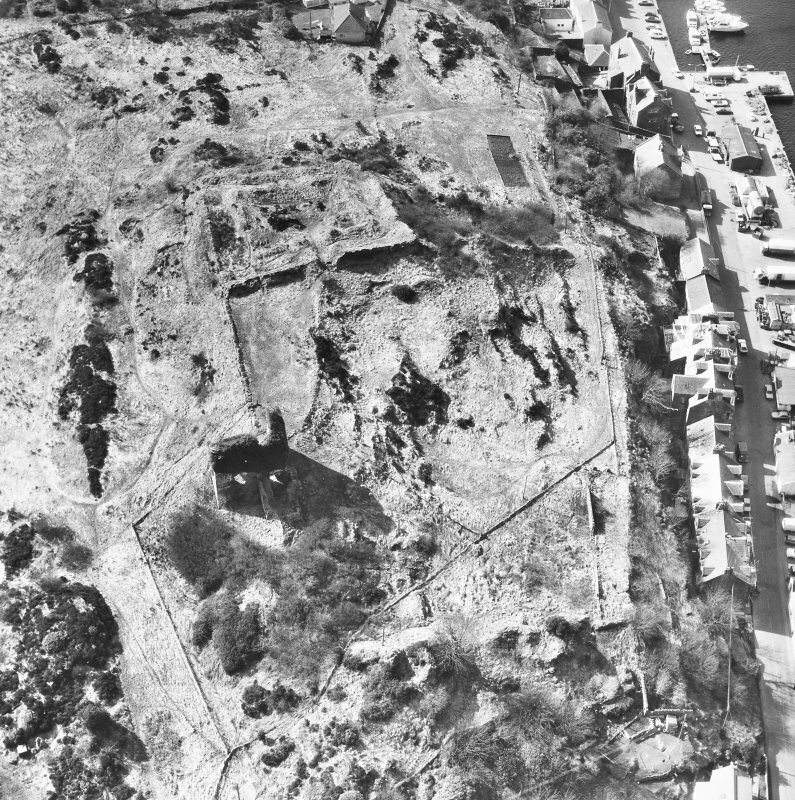 General oblique aerial view centred on the remains of the castle, taken from the WNW. 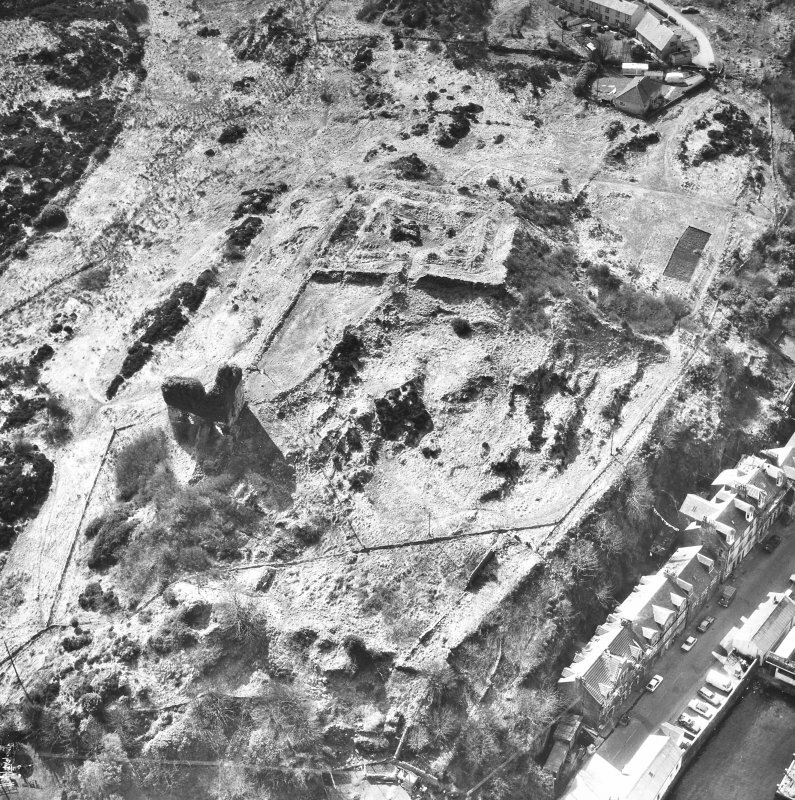 Tarbert,Tarbert Castle. Oblique aerial view from North-East. 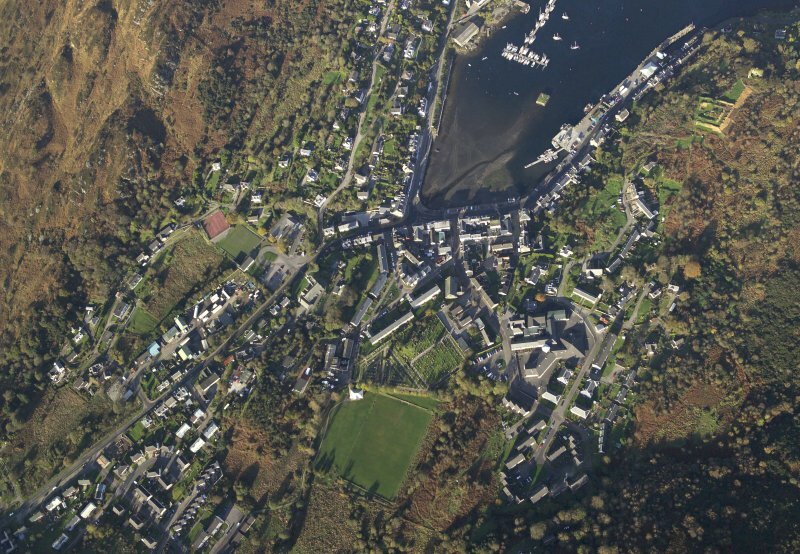 Tarbert,Tarbert Castle. Oblique aerial view from South-West. 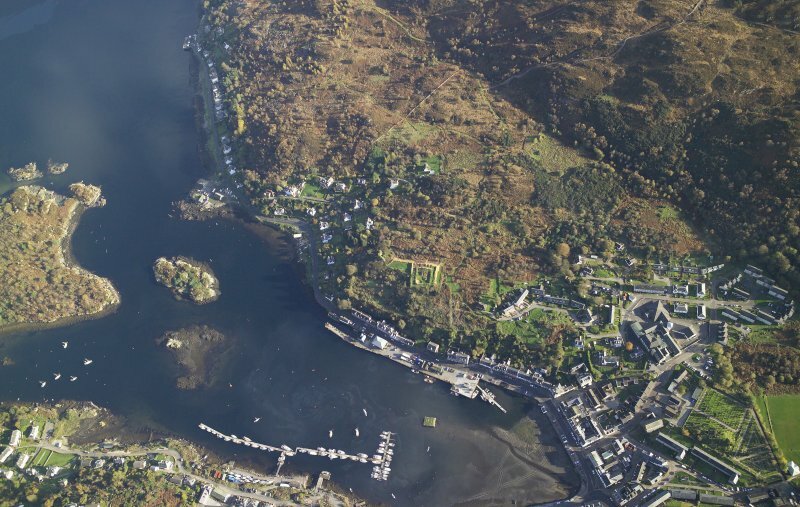 Tarbert, Tarbert Castle. Oblique aerial view from South. 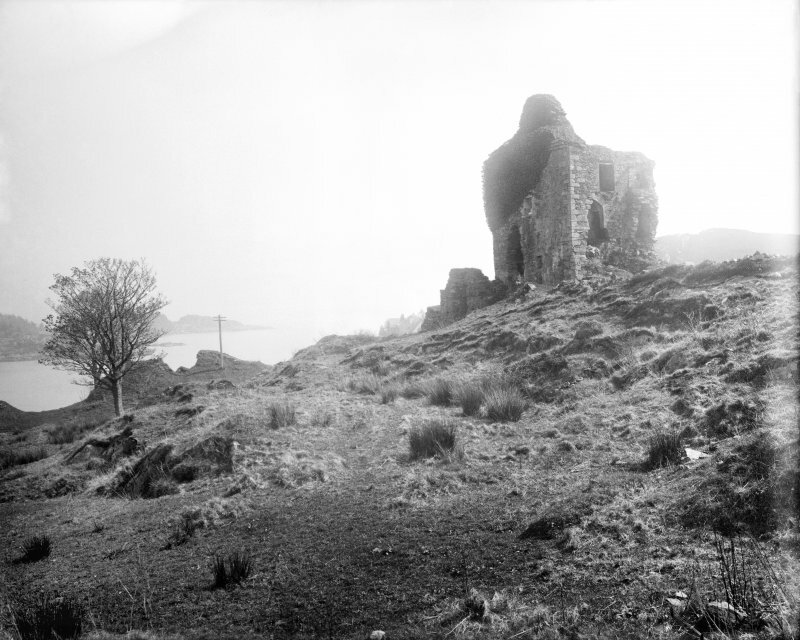 Tarbert, Tarbert Castle. General view from North-West. 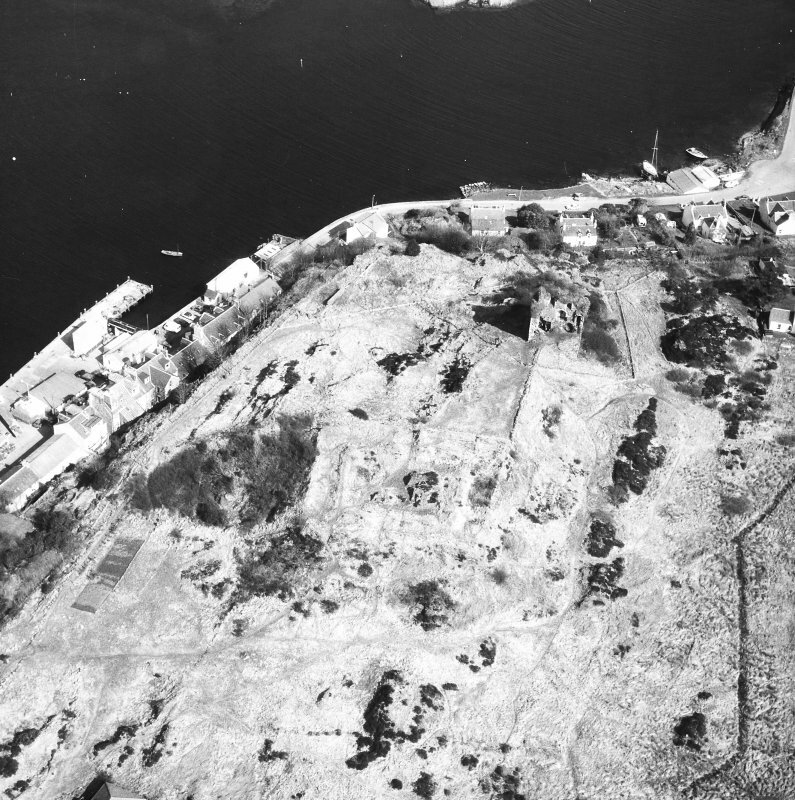 Tarbert, Tarbert Castle. View from North. 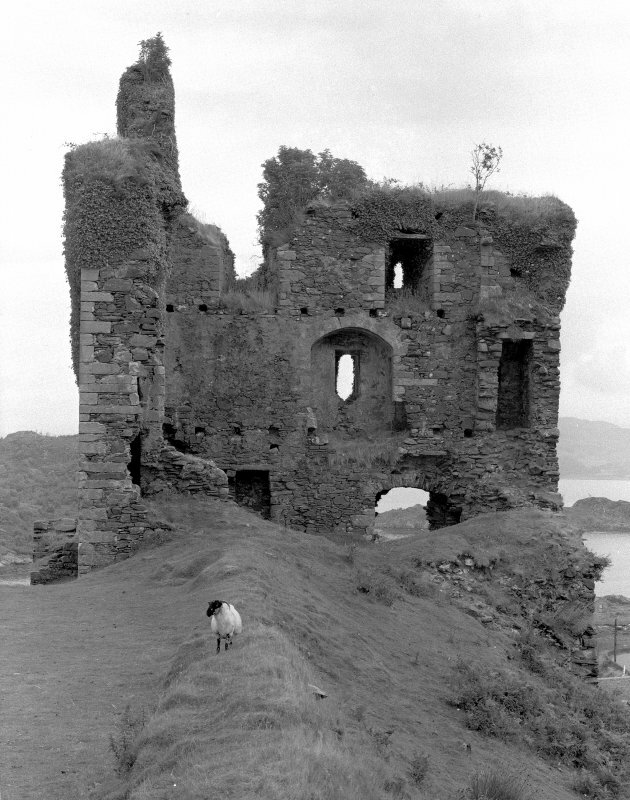 Tarbert, Tarbert Castle. View from North-East. 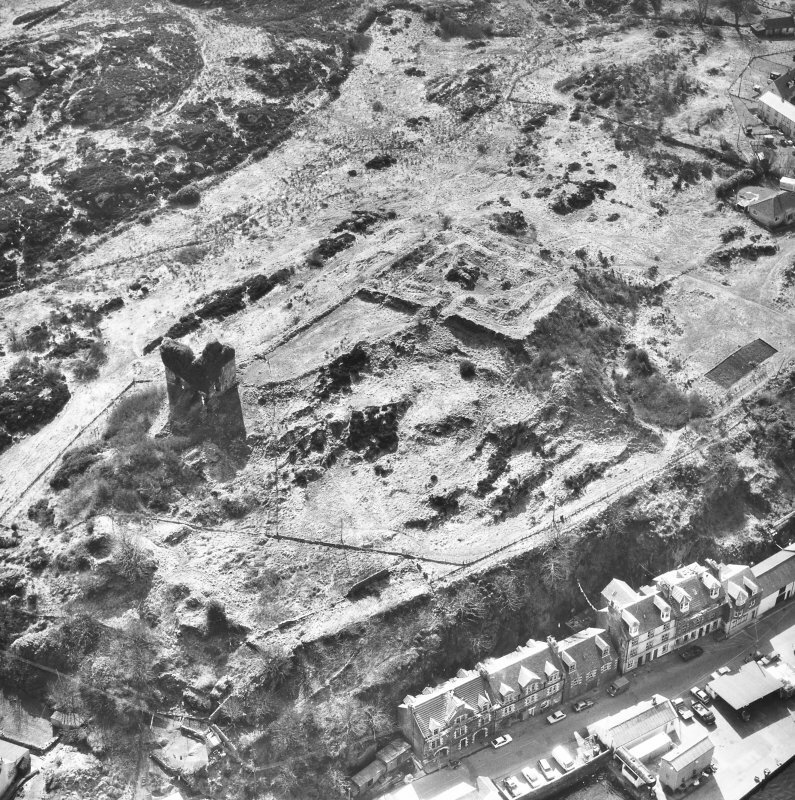 Tarbert, Tarbert Castle. View from East. 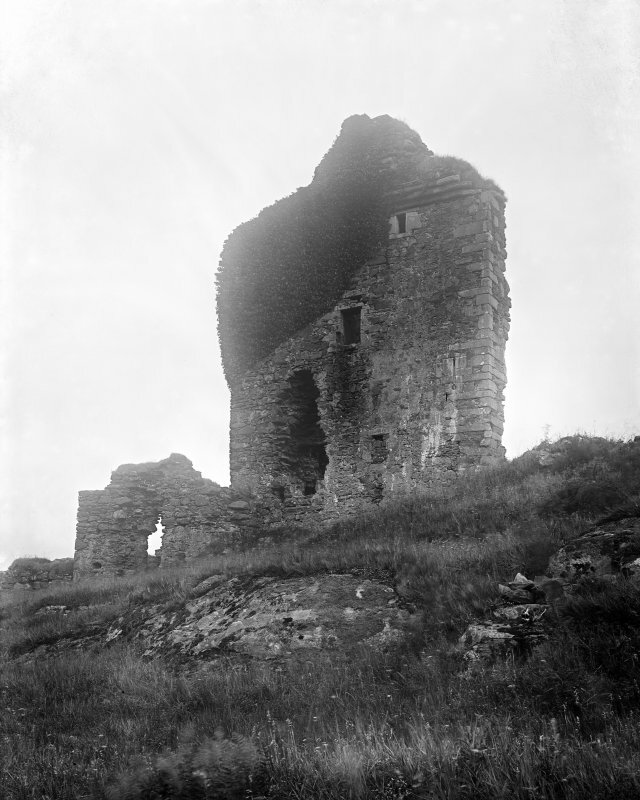 Tarbert, Tarbert Castle. General view from South-West. 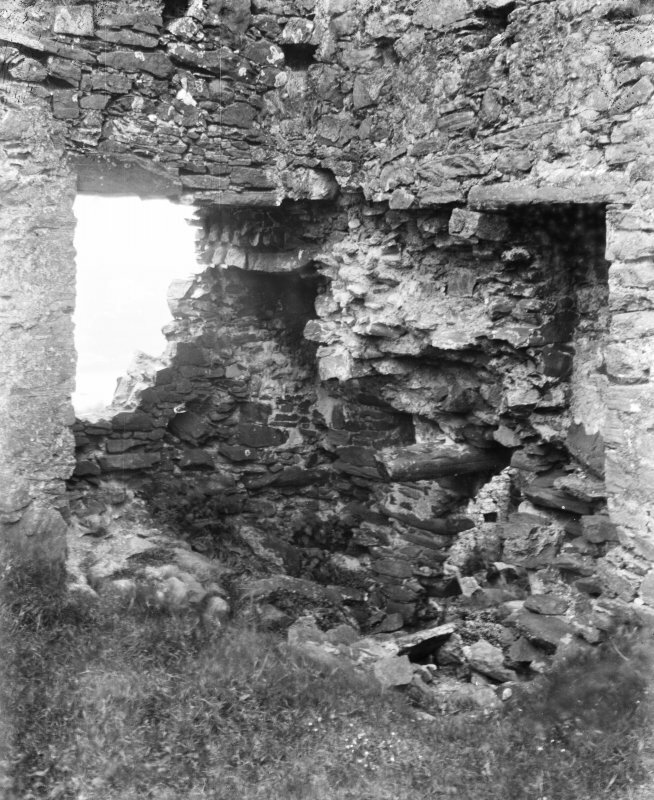 Tarbert, Tarbert Castle, interior. View from West. 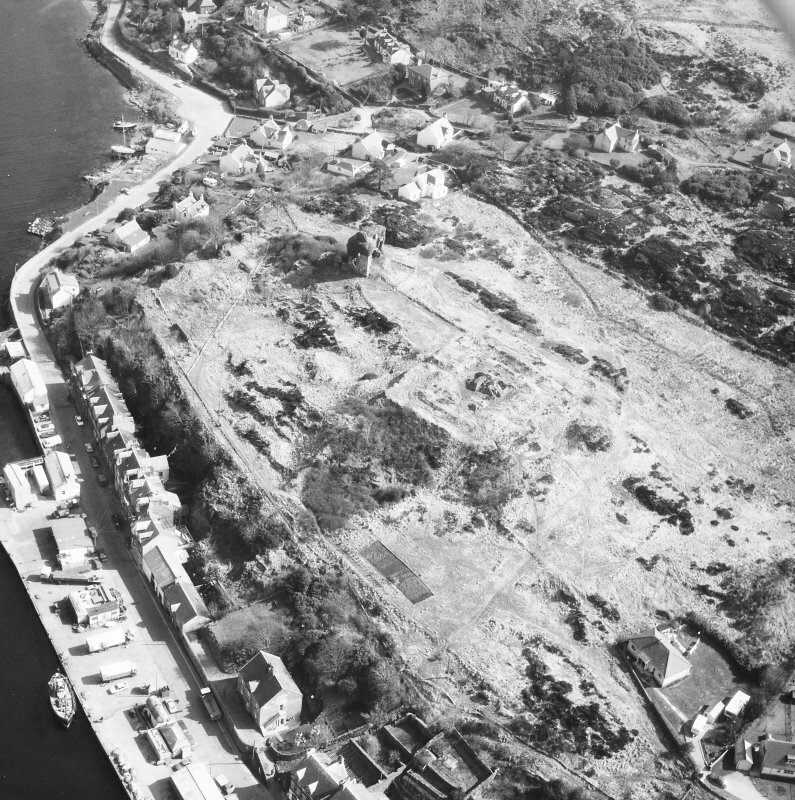 Tarbert, Tarbert Castle. View of entrance door to keep. 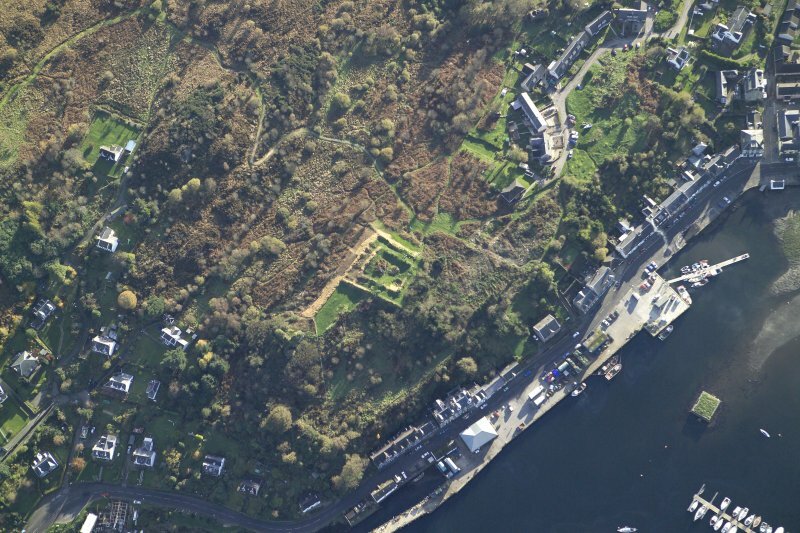 The nucleus of Tarbert Castle is formed by a building of irregular courtyard plan. The remaining portion of the site, much of which is at a considerably lower level, is enclosed by a curtain wall to form an outer bailey. This curtain wall incorporates a number of projecting towers, and is interrupted midway alongs its SE sector by a tower house and forework, now the most conspicuous feature os the remains. Neither the architectural nor the historical evidence is complete enough to enable the dates of the surviving buildings to be determined with any degree of precision. In view of its size and disposition, however, the courtyard building, or inner bailey, may be ascribed to the 13th century. The outer bailey is probably of early 14th century date, when large-scale building operations are known to have been carried out. the tower house likely dates from the turn of the 15-16th centuries, while the associated forework was probably erected later in the 16th century. Generally as described. The overall dimensions of the outer bailey are 89m NE-SW by 70m and the inner bailey 27m NW-SW by 37m. In the NW corner of the inner bailey there is an irregular shaped stone lined depression which is probably the remains of a well. No change to the report above. Visited by OS (BS) 3 February 1976. 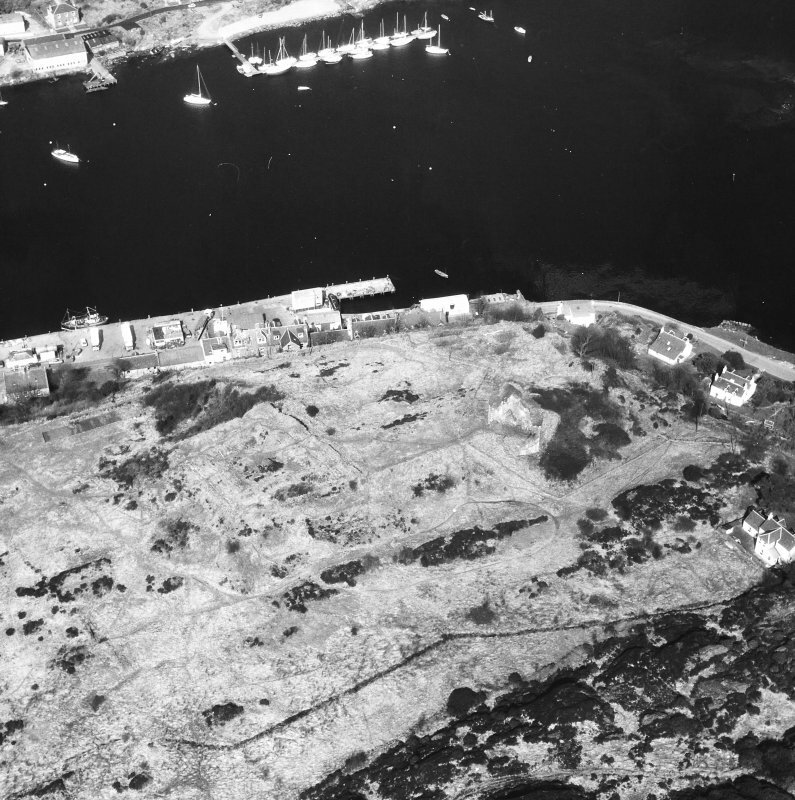 A watching brief was conducted in December 1992 to supervise any ground disturbance caused by the replacemnt of a stock fence with adeer fence around the late 15th-century tower-house and along the cliff top to its NW. The majority of the eleven holes dug for the posts of the deer fence (each c1m deep and 0.5m in diameter) contained nothing of archaeological significance. Two post holes produced quantities of boulders, probably representing tumble, and a third contained a large flat boulder lying horizontally. The only identified structural remains lay 3m from the SW wall of the possible gatehouse. Three courses of moratred wall may represent either the wall of the possible round tower shown on the 1sr edition OS 6-inch map, or a continuation of the curtain wall. NR 8677 6873 Site identified as part of a coastal zone assessment survey. 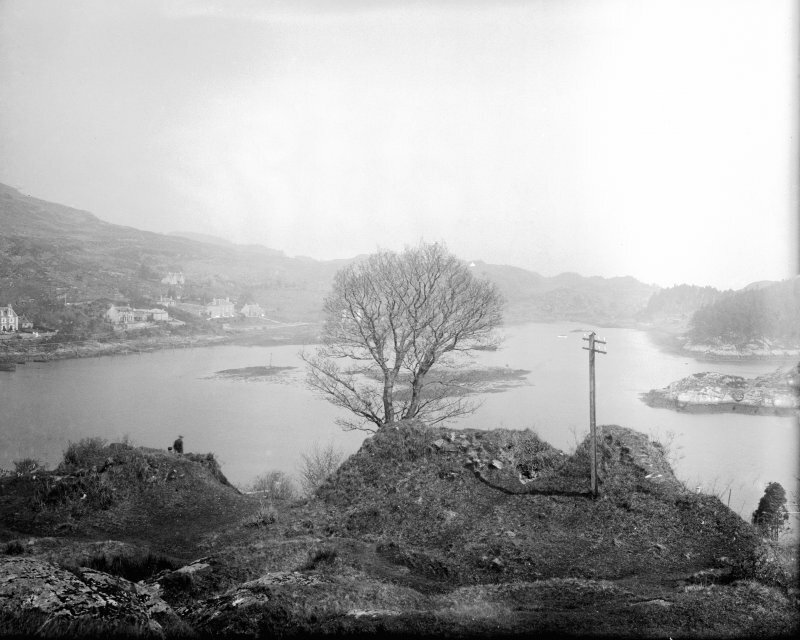 The remains of Tarbert Castle are not, perhaps, remarkable in themselves, but the individual elements are unusual, and the view from the castle over the harbour is a panoramic one. 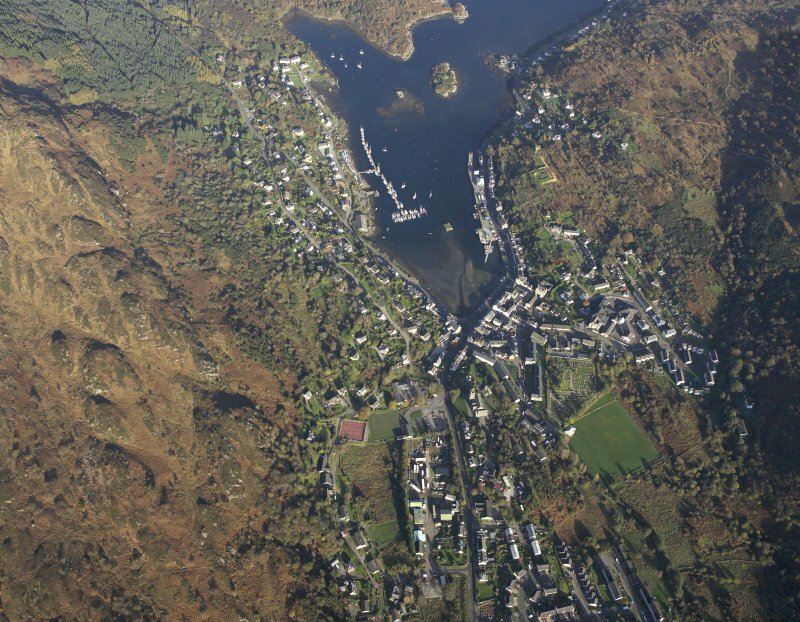 The position is of some importance commanding the porterage from Tarbert to West Loch Tarbert, enshrined in one of the earliest memories of Scottish history of many a schoolboy as the place where Magnus Barelegs dragged his vessel across the isthmus to claim Kintyre in about 1098. 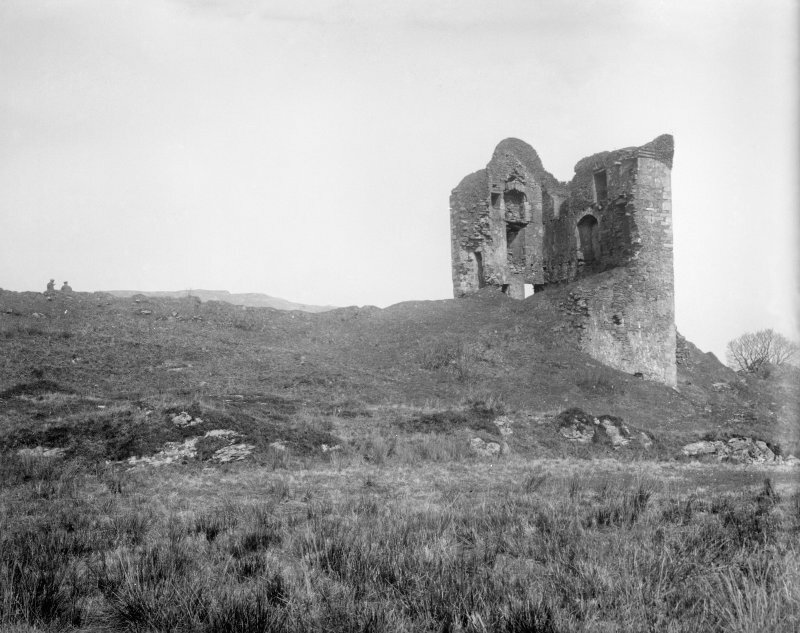 This was symbolically repeated by Robert Bruce in the period after the Battle ofBannockburn, when the king is known to have taken possession of the castle. 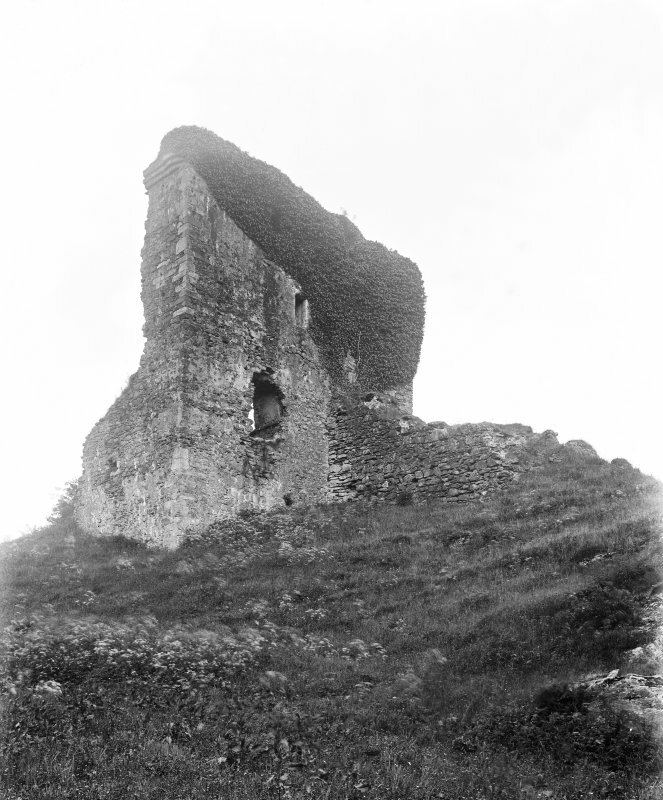 The castle occupies the summit of a flattish-topped rocky ridge and comprises three main parts; the most prominent, the tower-house, is the most recent, dating to about AD 1500. The earliest castle occupied the highest part of the ridge to the south-west of the tower and is a simple rectangular enclosure some 38m by 33m internally. Only the lowest courses now survive (and these are best seen in winter or spring when the vegetation is low); they indicate a castle with four ranges of buildings with an entrance on the north-east flank. 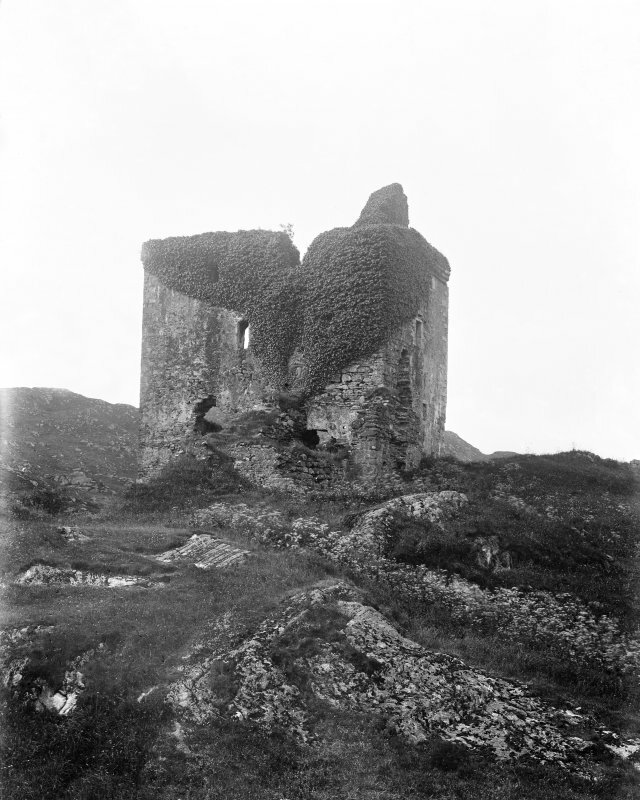 The plan of the castle may be paralleled by royal castles in the east of Scotland and by analogy it has been suggested, in the absence of documentary evidence, that the castle results from a royal expedition to Kintyre in the early 13th century. 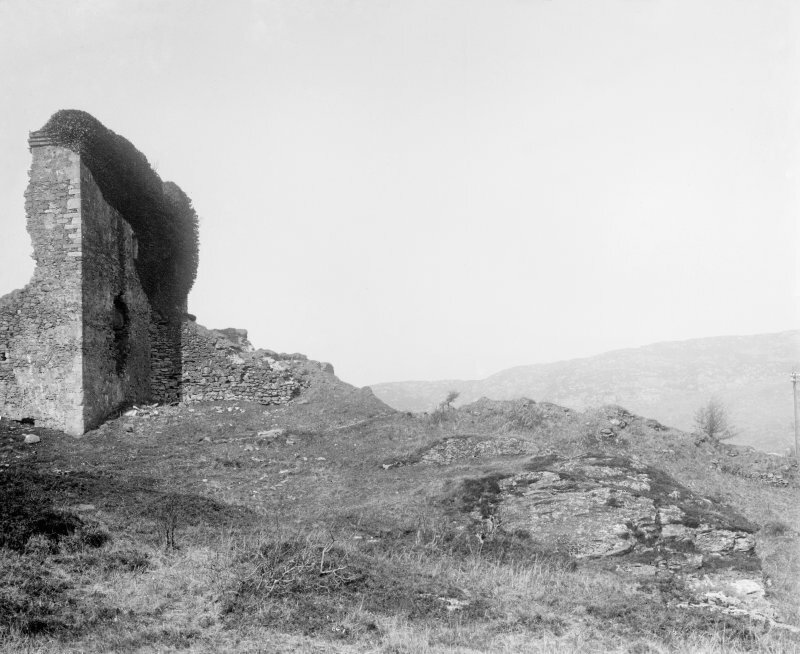 The lower portion of the summit area to the north-east was enclosed by a wall about a century later, appreciably increasing the size of the castle; little survives of this phase except parts of two circular projecting towers on the north-east flank It is likely that this work dates to the period when Robert took the castle intending it to be a power-base in the area. It is hard to believe this from the surviving remains, but the area enclosed by the wall could have held many timber buildings; building accounts for 1325-6 show that the work on the castle included not only the walls, but also the construction of a hall with clay and sand walls, timber uprights and a thatched roof From about 1329 Tarbert was established as a royal burgh, perhaps originally situated in the area just to the south-west of the castle. The castle was the scene of another royal visit in 1494, and James IV was probably responsible for initiating the building of the tower-house, of which only the cellar and the north-east and north-west walls still remain. 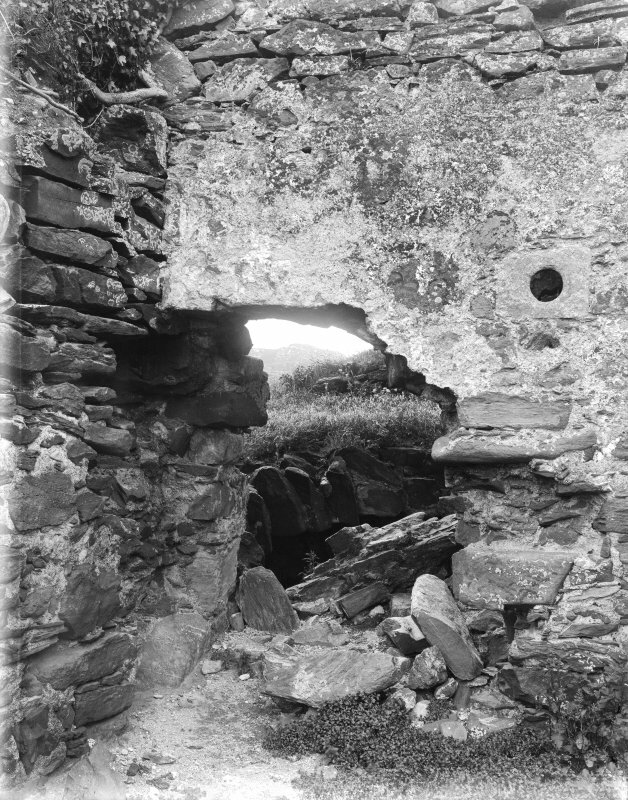 NR 86760 68717 The community survey undertake at Tarbert Castle in February 2013 has recorded details of the upstanding remains. While few new features came to light during the survey within the castle walls, an area to the S of the inner bailey had several faint traces of ditches or enclosures. 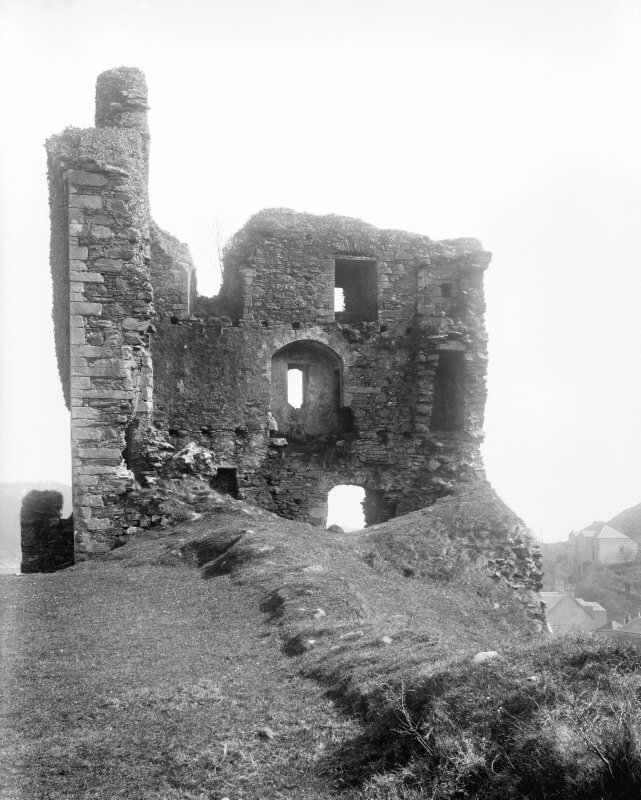 As yet, it is not known whether these are associated with the use of the castle or with the possible medieval burgh. A geophysical survey was also undertaken within and around the castle, by Northlight Heritage Archaeoloy, hinted at the presence of buried features in same area and focusing on this area during any future excavation may reveal their age and function. NR 86760 68717 (NR68NE 1) A watching brief was undertaken, August 2017, during topsoil stripping for a footpath to the S of the castle. No features of archaeological significance were recorded.